The same gaping gigantic and toothy maw that was glimpsed in the previously released trailer has been featured in the late-coming teaser poster of Percy Jackson: Sea of Monsters, sequel to the internationally hit The Lightnig Thief. This is obviously the interpretation of one of the mythical monsters known to Greeks as Charybdis, the same monster Odysseus has to face when trying to get home after a great war. 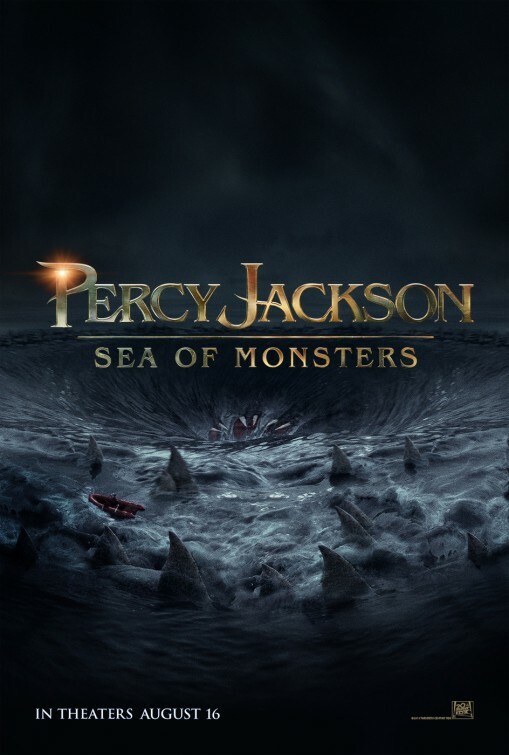 Now our favorites, Percy Jackson played by Logan Lerman, Alexandra Daddario's well-loved Annabeth Chase and Grover played by Brandon T. Jackson, are joined by Douglas Smith's, young Tyson and Leven Rambin's unpredictable Clarisse. This Thor Freudenthal-directed sequel will sail to theaters on August 7, 2013 (was originally scheduled on August 16).